Discover what the lifetime value of a customer means, how it can transform your marketing and how to work yours out. When it comes to marketing your business, one of the most important pieces of information you need to know is the ‘lifetime value’ of your customer. Unfortunately, many businesses aren’t familiar with this principle, or they don’t fully appreciate the true benefits of it. This is a crying shame, as it offers the perfect basis for a successful marketing budget. 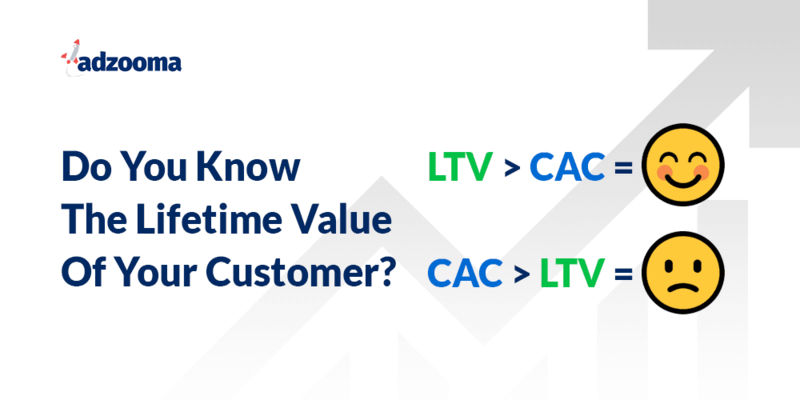 Lifetime value of a customer is exactly that. It’s simply how much an average customer spends with your business in their lifetime. If you sell property, for instance, it’s likely your average customer only purchases from you once in their lifetime. This also applies to other similar large purchases such as a new roof, garden landscaping, expensive kitchens, loft conversions, etc. 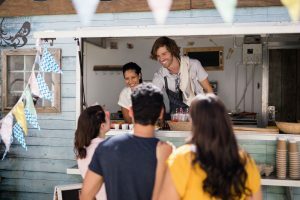 If you offer a service such as hairdressing, accountancy or garden maintenance, you will have multiple, regular small purchases from each customer. The most important thing is if you don’t know the lifetime value of your customers, it can seriously hinder your marketing results. You need to know what a customer is worth to you. If you don’t, you can’t decide how much to spend to acquire one. If your customer value is lower than you thought, you may be overspending on your marketing. However, if the value is more than you thought (and it often is) you could be seriously under-spending on your customer acquisition, hampering your growth. 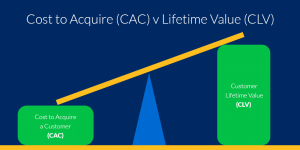 How Do You Calculate Lifetime Value? Let’s say you’re a hairdresser. If your average customer visits once every 2 months, spends £30 each visit and stays with you for 18 months, their lifetime value is around £270. How much are you willing to spend to acquire a customer worth £270? out the lifetime value can be liberating and eye-opening. And it can certainly highlight the fact you have more money to spend per lead than you thought. If you’re a hairdresser, you may have thought £50 was way too much to spend on acquiring a new customer. However, once you know they are worth £270 over the next 18 months, it doesn’t seem as expensive as you first thought. The problem is many business owners only count the first transaction when working out customer value. Obviously, some customers will only spend once with you, but many more will keep coming back. That’s why you need to work out your average, to ensure you get the true figure. Keep in mind the older your business is, the easier it is to work this out. If your business is brand new, you may have to wait and check your statistics a little further down the line. However, it doesn’t usually take too long until you get an idea of average customer value and can begin taking advantage of it. Can You Increase The Lifetime Value Of YOUR Customers? Think about it. Once someone becomes a customer, if you look after them, they are far less likely to leave you. People like familiarity and will usually only leave if they become unsatisfied with your service or you hike up your prices too often. If you can increase the average amount your customers spend with you each time they purchase, their lifetime value also increases. This can be achieved through up-sells and add-ons, special offers etc. It’s easier than ever to collect your customers’ emails and build a subscriber list. This allows you to legally contact them regularly regarding new stock or services, new product lines and sales. Get your customers to buy more often. Develop and test appealing offers and promotions to offer existing customers for extra sales. You can try add-on services, new/updated products/services, loyalty scheme/rewards and refer a friend. Imagine each customer referring just one friend. That could really impact your lifetime value. The key to successful marketing is knowing and understanding how to use your metrics. If you knew that a certain source of visitors had returned double your ad spend every time you used it, you’d scale up your budget, right? Why? Because you can be reasonably sure that your returns will continue, until something significant changes. It’s the same with customer acquisition. If you know how much you can reasonably expect your average customer to spend with you over their business ‘lifetime’, you know your average return. You can confidently outbid many of your competitors on Google Ads, as most businesses underspend on acquiring customers. When you know your average customer value, you also know how much you can spend resolving any issues or complaints from existing customers. All your marketing activities become easier once you master this simple principle. Knowing the lifetime value of your average customer is essential for cost-effective marketing. But keep in mind it works both ways. You need to ensure you’re not underspending on your marketing, but it’s equally important to know you’re not overspending either. Either of these can seriously hinder your advertising results. All you need to do now is work out your average lifetime customer value, check it regularly and use it wisely. You’ll probably find you have more to spend on acquiring new leads, customers or clients than you thought. If you’re currently using Google Ads and would like to improve your results, you can try our FREE 1-minute Health Check. Click the button below.